Next >Start tour 2. 3. Your choices give you full control. 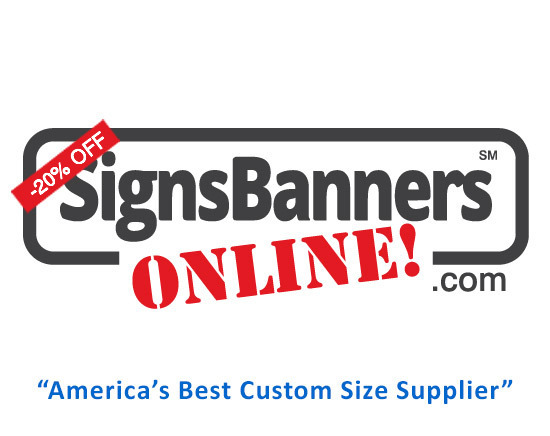 Choose from the popular sign making materials and display grade fabrics for your clients. Materials are the best in their class. 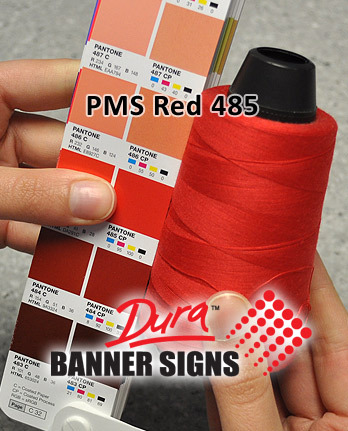 Choose from the popular colors for your thread color for each banner, choose colors for reinforcing and fittings in your order, at the template stage and wizards. Choose different size sleeves or orientation to match your customer needs and printing business. Are you ready to print... simple online tools that mean your orders are easy to create, manage and track. From the comfort of your home office, your building or mobile from customer to customer, you can quickly and efficiently manage all aspects of your signage ordering from any device. With thousands of job opportunities... Our unique platform eliminates the need for expensive advertising and lets you offer your talents and skills to the world without ever leaving your home or office... Getting started is easy. 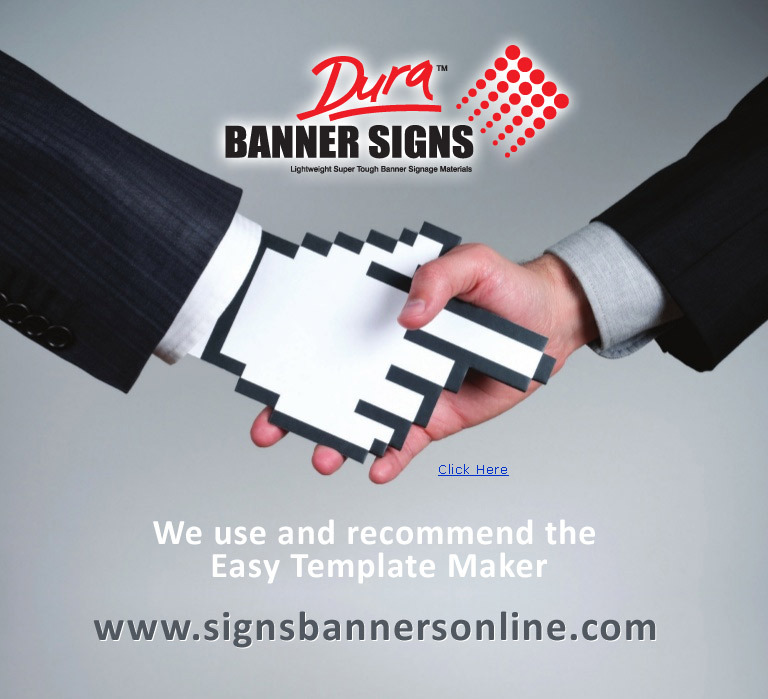 We use and recommend the Easy Template Maker for setting up all banner signage layouts. The template generation outputs a perfect file you can open in photoshop with all the correct fold over bleed needed for fabric/vinyl printing as a sign. A few choices and clicks... Select the material, add your sizes, choose the options, generate and open in your favorite creative suite... Free to use by everyone... Obligation free. 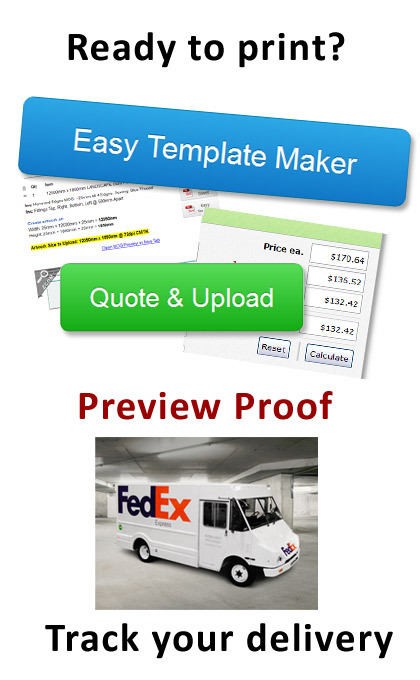 Use the Easy Template Maker then forward the pdf info guide sheet to any graphic designer. 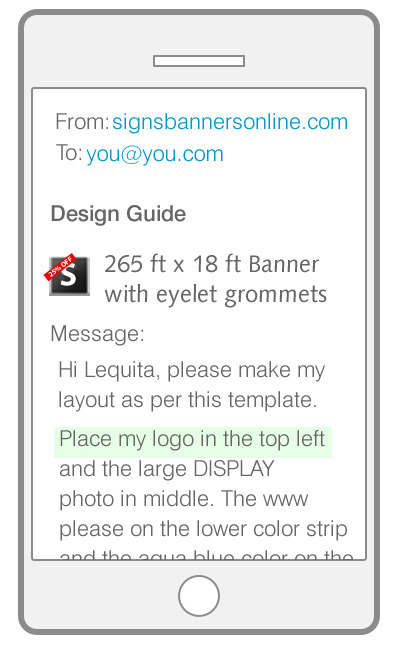 Your graphic designer can open the template design guide and start your creative instantly... Wow! Download the handy design guide and forward onto another person... its ideal for a printing company for banners. Important locations, relations and sponsorships need reliable campaigns.... From the base of Everest to your store... You need the best. Highest quality... always! 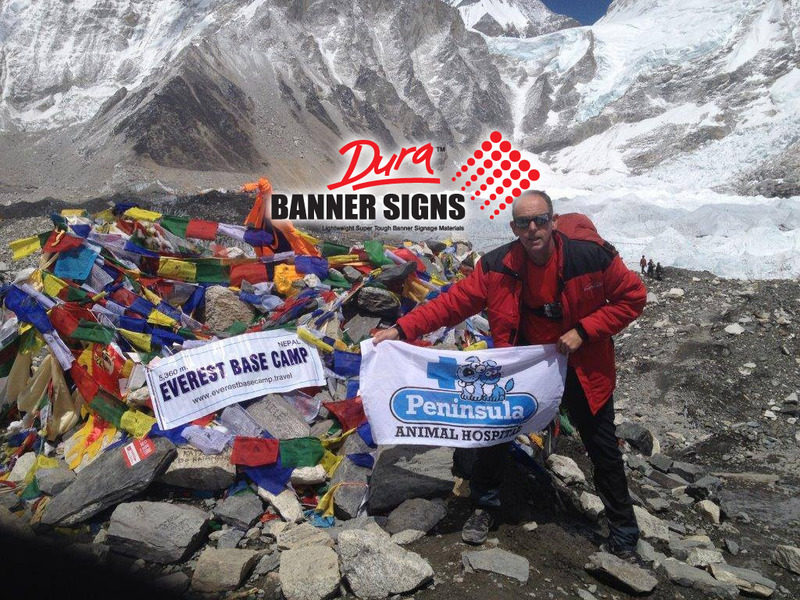 "As promised here is a pic of the flag at Everest Base Camp with our vet Thanks again for doing these for us, they looked great." 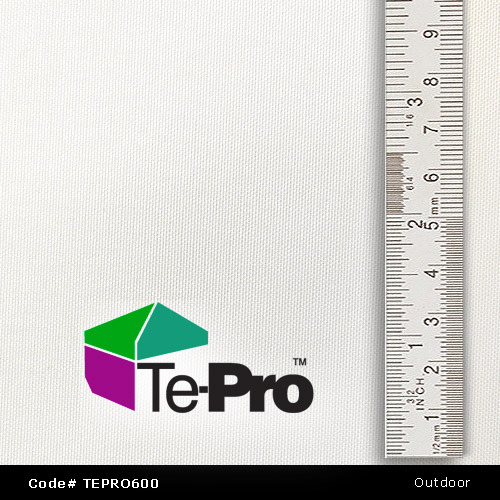 Make any size custom size template, give it to your designer, add graphics, flatten and upload for factory printing. Try it now! Learn how to make artwork that you can upload to print for custom size specifications.